I think it started in 1979 for me. I’m sure I had seen the arcade games before that, at least Space Invaders, but for me, video games really started in 1979. 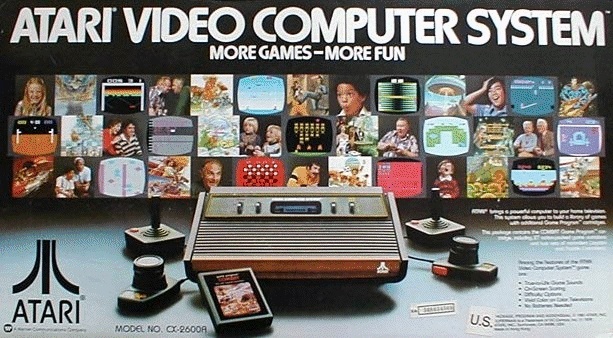 That’s when I saw my first Atari. 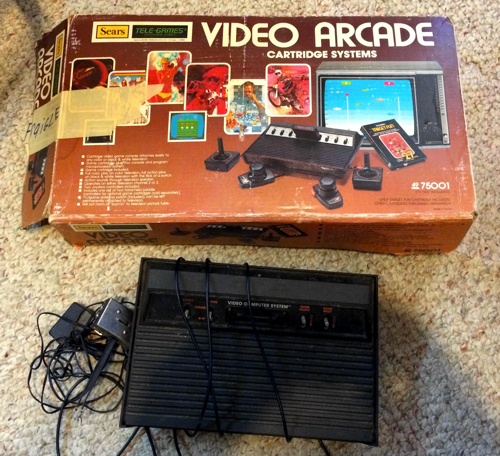 We didn’t call it the Atari 2600 then. It was just Atari. Neither my friends or I had ever seen anything like it, and when one of my friends got it, and not even at Christmas time!, we all rushed over to play it. His name was John, and I remember it was Summer Vacation of 1979 when either his parents or some rich uncle gave his family the Atari. He told us about it at the playground where we all went to Elementary school. There were tanks, and jet fighters, and you flew them around the TV screen and shot at each other. The way he described the game, we could all imagine how cool it must be! You could control a tank! And Jets! There were clouds that you could fly through, and fortresses to maneuver your tank around! A few hours later, we were all spent from having gone to John’s house and played Combat. 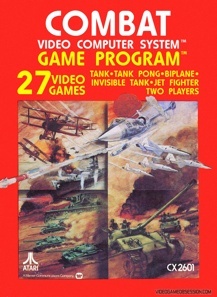 Looking back now, 36 years later, the blocky graphics could barely be called Tanks, Planes, or Clouds. But to eight year-old boys in 1978, who had never seen a home video game, it could not have been more real than a pair of VR goggles with stereo sound today. It was amazing! A few hours after the event, we would get into my dads 1970 Delta ’88 (which would become my first car ten years later) and head to my Grandparents house, on my Mom’s side, and meet the rest of the family to celebrate the holiday, open presents, and have one of the best meals of the year. (Deviled Eggs, Ham, REAL mashed potatoes, gravy, corn, stuffing, and much more!) Around 7PM, we would spend a half-hour saying our goodbyes and heading a couple miles back home. Usually, at least it seemed to me, the night was always glowing with fresh, but not heavy, snowfall. The sound the tires made on the snow, a continuous humming/crunching sound. The pile of presents both in the trunk and in the backseat with me, promising new ways for my mom to cook, a new knife my dad would display, and new toys to join the other new toys waiting at home from that morning. Usually by 9PM I would be fast asleep, dreaming of the weeks left of Christmas Break from school, and the hours to play with the new toys. 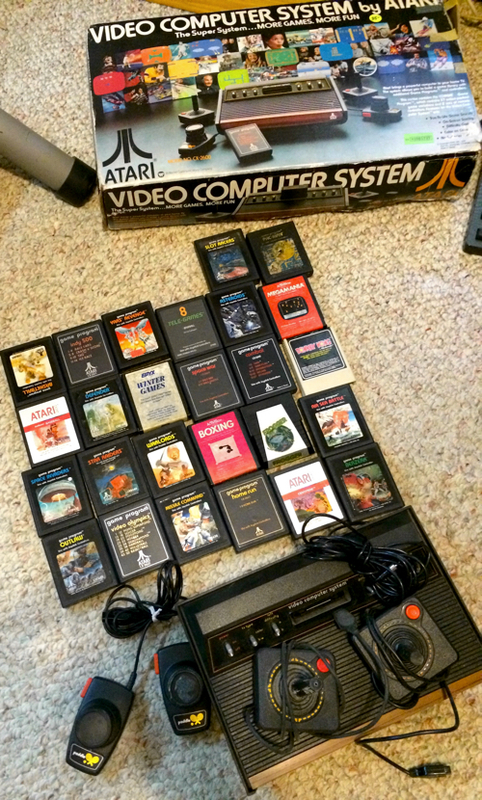 First, I KNEW the size of the Atari box. The rectangle box had been calling to me every time we went to the few stores that sold it. (Sears, Kmart, and Meijer’s) I knew the shape, the weight, the SMELL of that box! And sure enough, sitting front and center under the Christmas tree that year, was THAT BOX! Covered in neatly folded Christmas wrappings with a smiling Santa (Yes, I remember the wrapping) true, but I knew what it was. I also spied what HAD to be a video game that went with it, also a rectangular box albeit much smaller. My hands were itching to rip the packaging open, and delve into the world of Combat. Plus whatever the other game was. (Turned out to be Maze Craze: A Game of Cops and Robbers. I remember liking it a lot) When the time finally came, I was rewarded with HOURS of fun. Except… we had to leave to go to my Grandparents house! OH NO!!! 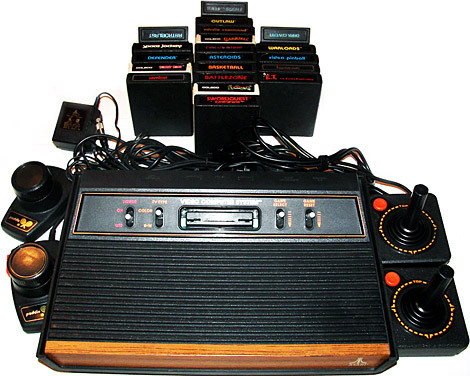 We brought the Atari with us, and I (at eight years old) connected it to the TV there, where all my relatives enjoyed the system all day long. 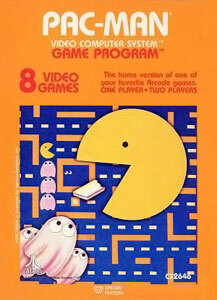 The Atari was one of my favorite “toys” as a kid, and while I really liked it, it was not until Christmas of 1982 that it REALLY exploded for me when Atari released Pac-Man. Looking back, yes, it was a terrible port of a great game. It blinked so badly it almost cause people to have seizures, which was not funny to me, a kid who had a mom with Epilepsy. But it was Pac-Man, and I could play it AT HOME!